Good afternoon everyone, I hope your Monday is going well. 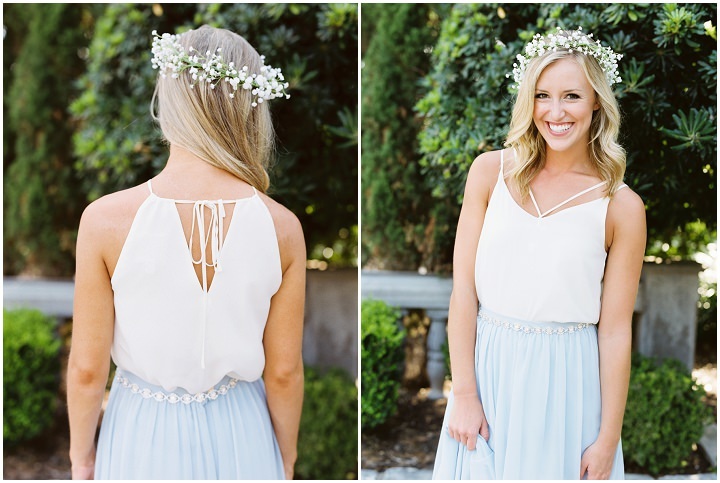 It is about to get a lot brighter as I welcome the very lovely Revelry back to the blog. 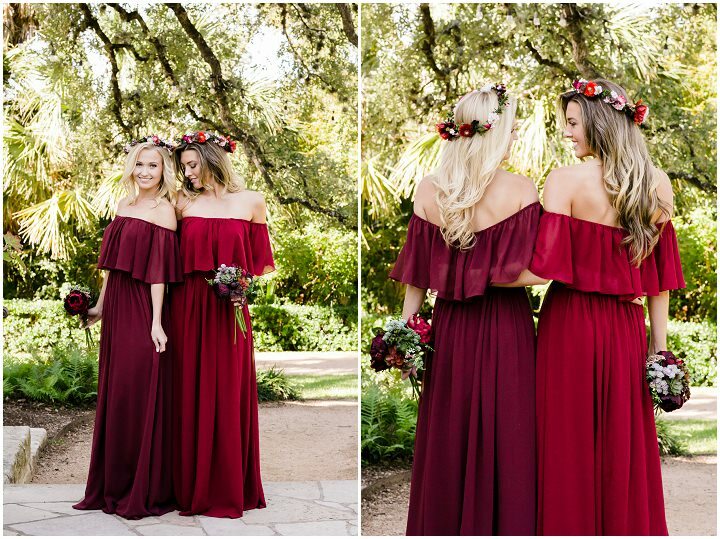 Revelry are regulars to the blog, as I just love their huge selection of stylish bohemian bridesmaids outfits at prices that won’t break the bank. 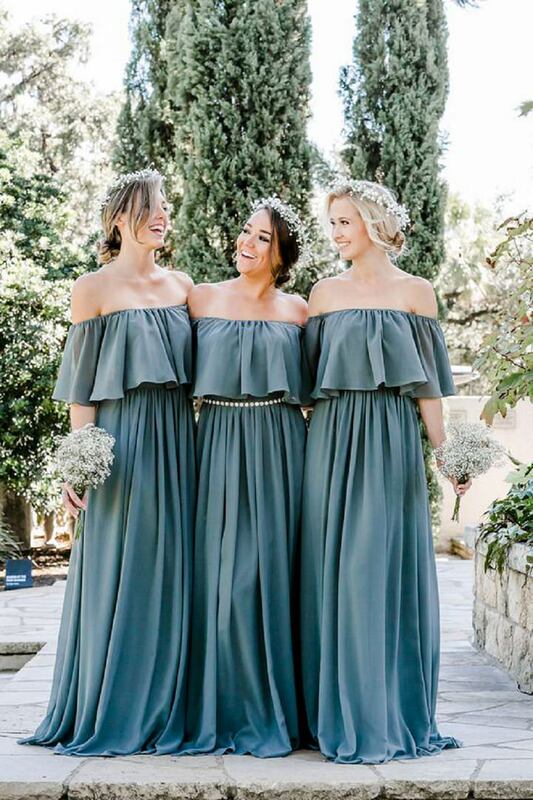 Today I would like to introduce you to their stunning off the shoulder range, which is the perfect addition to any boho wedding, along with their gorgeous range of bridesmaids separates. 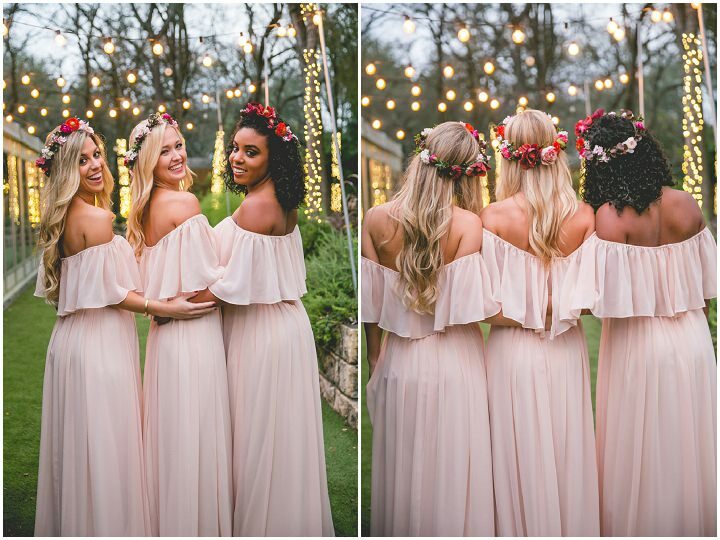 All of these dresses are super stylish, great quality and come in a number of colours and sizes. 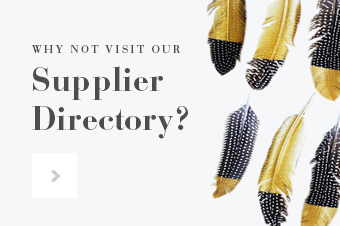 They are based in the USA but have worldwide shipping, and prices as little as £120. 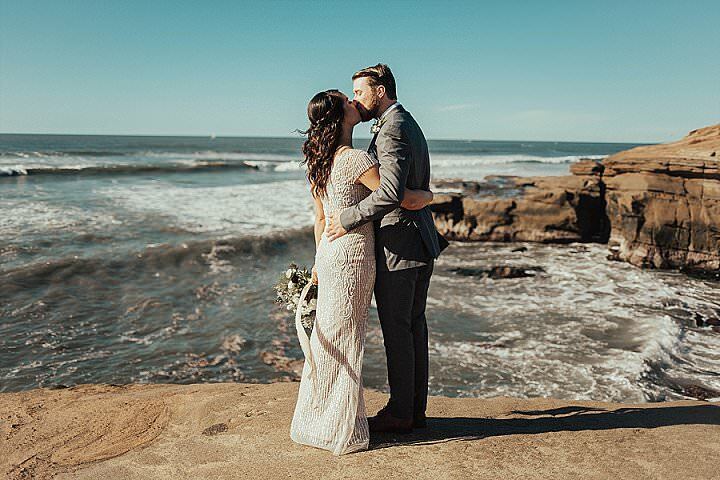 What’s not to love! 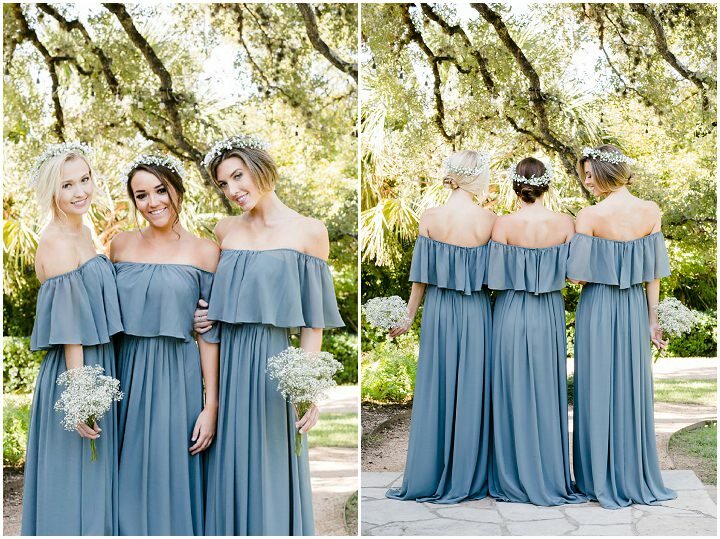 The off-the-shoulder Chiffon Abigail Style is the perfect addition to any bohemian wedding, while the mix and match separate options create a unique look that compliments the details of your special day. 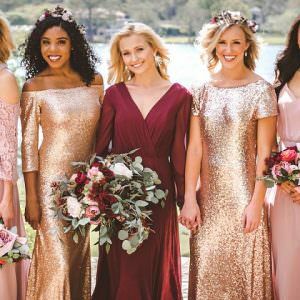 Look no further for a Pinterest worthy bridesmaid dress reserved for the trendiest of weddings. 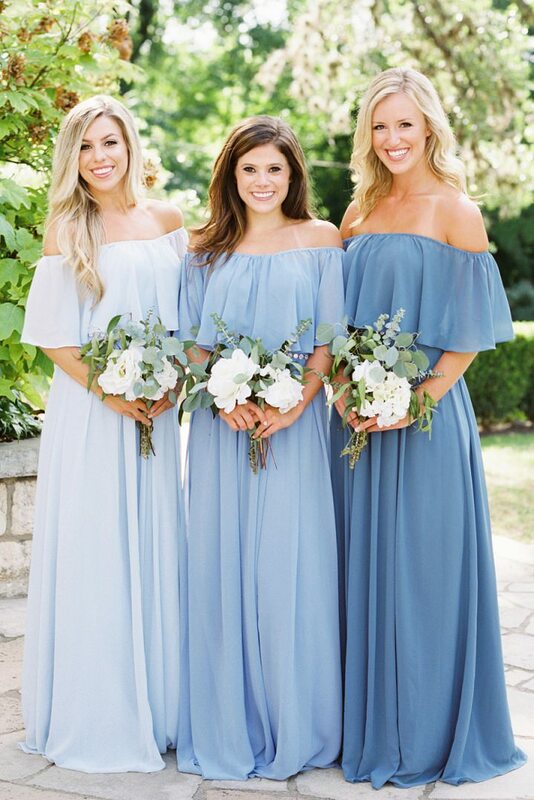 Whether you’re looking for a one shoulder, two shoulder, or off the shoulder gown, the Abigail’s flutter sleeves are sure to be a hit. Vertical ribbing and built in cups offer additional support. 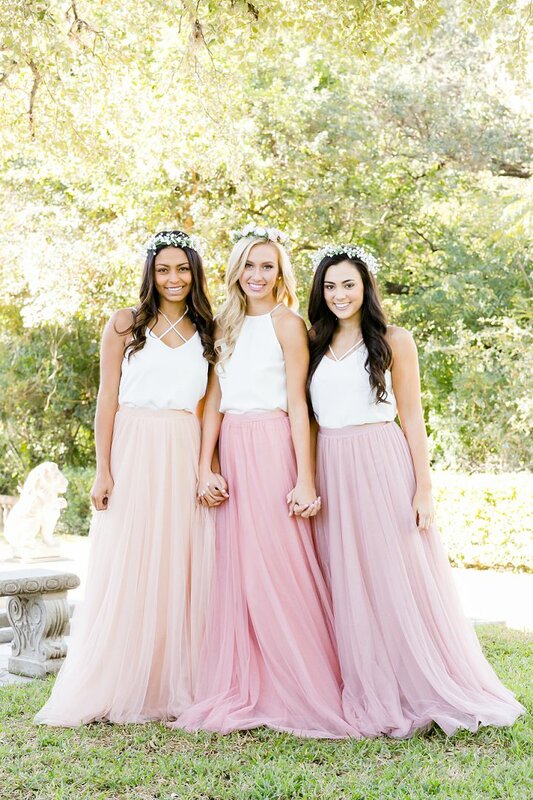 Mix and match bridesmaid separates in Chiffon, Sequin, Lace, and Tulle. 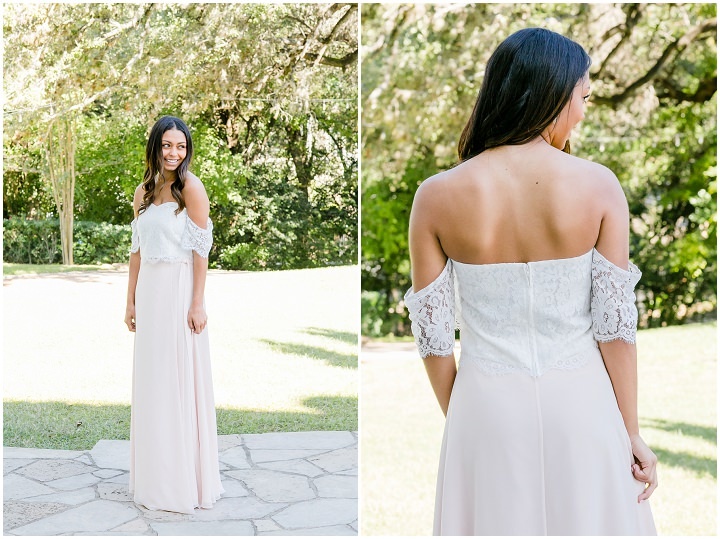 New Lace styles just added! 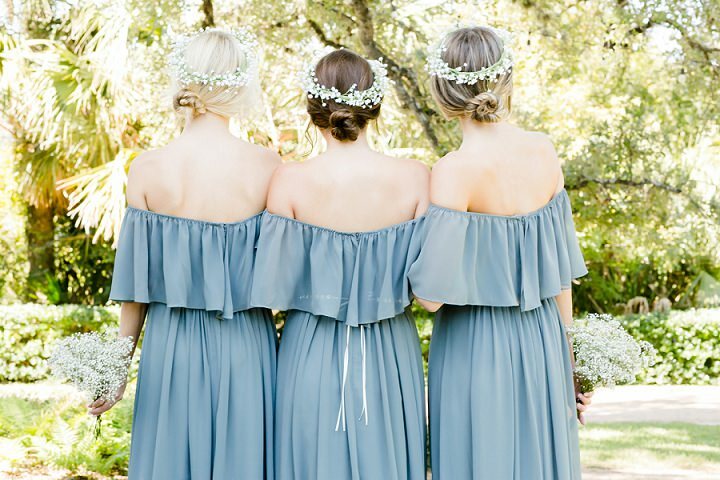 Bridesmaid dresses and separates dreamt and designed by Revelry, made-to-order exclusively for you. 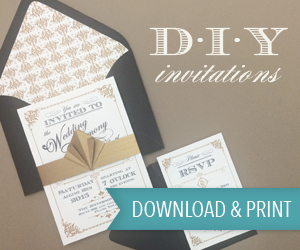 Revelry offers sample boxes and swatches to try before you buy at home! 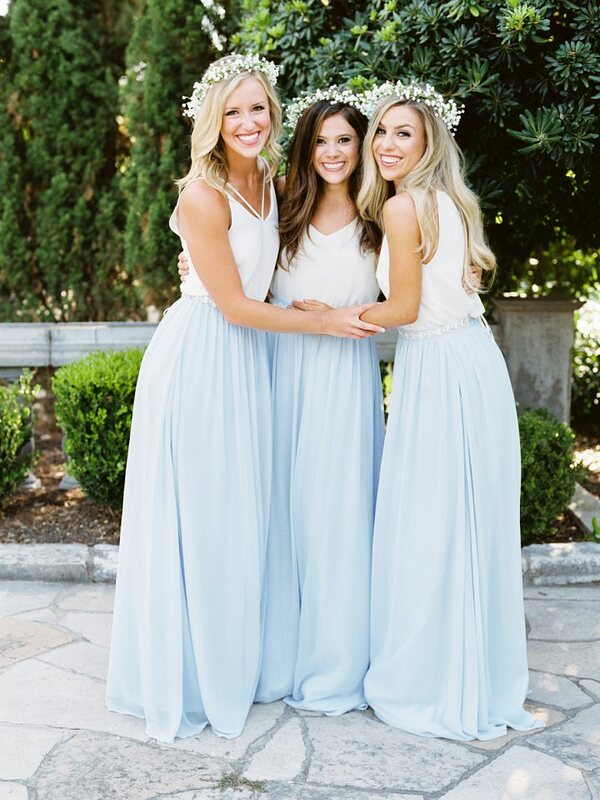 We offer exclusive sizing from 0-32, 4 lengths, and 100+ colors. 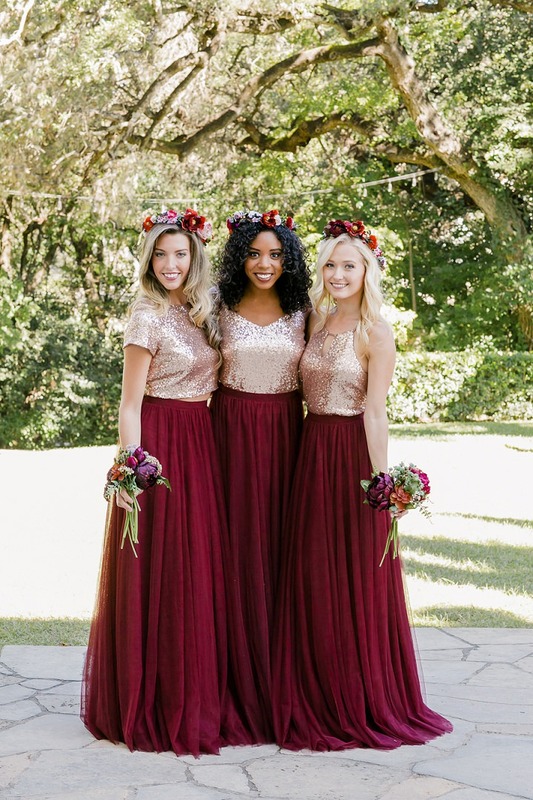 Revelry has a wide selection of unique bridesmaids dresses including tulle skirts, classic chiffon dresses, trendy off the shoulder formal gowns and sparkly sequin options! 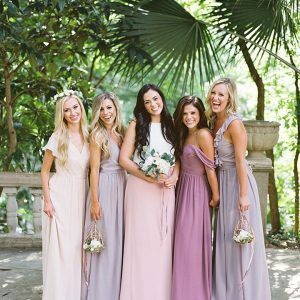 Revelry’s bridesmaid collection is perfect to mix and match ombre colors palettes, as well as styles that compliment every bridesmaid! 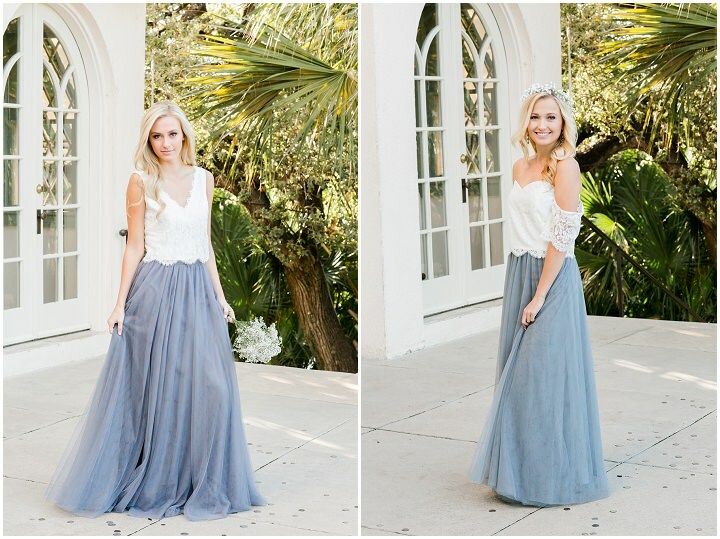 Revelry’s collection of bridesmaid tops and skirts creates truly wear again bridesmaid styles! Try before you buy! 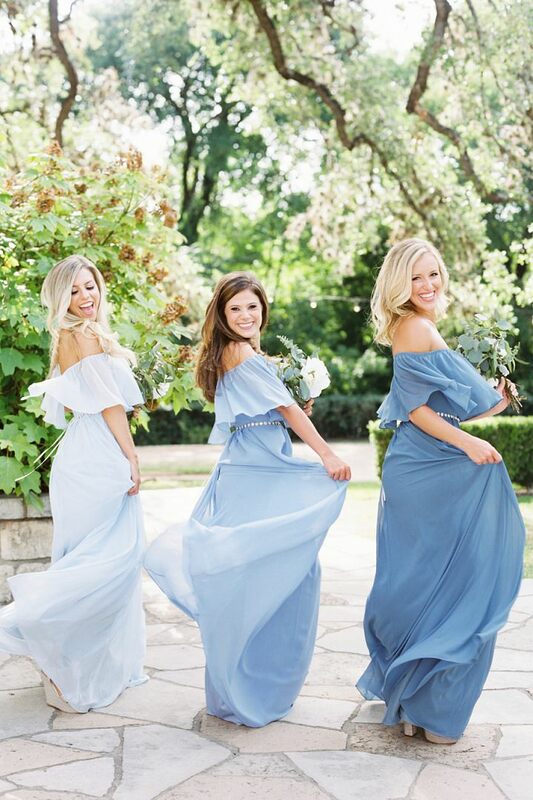 Try Sample dresses before you buy your made-to-order dress in the comfort of your own home by bringing the bridal boutique to you! All of the fun, with none of the hassle.